Birmingham Iron running back Trent Richardson (pictured above) hoped to restart his career. This opportunity may disappear as the AAF closes (courtesy of Creative Commons). Usually, the first Sunday after the Super Bowl is a destitute and hopeless day for NFL fans. That was not the case this year, however, as the Alliance of American Football kicked off its inaugural season one week after the New England Patriots were crowned champions of the NFL. Eight teams in cities without NFL teams like Birmingham, Ala. and San Diego were blessed with their own football franchises. The first weekend slate of games was televised nationally on channels like CBS, TNT and oddly enough, NFL Network. The ratings for the first eight games were good, averaging three million viewers. Several former NFL players, like running back Trent Richardson and quarterback Johnny Manziel, helped increase interest. Despite some nostalgic names on the rosters, the AAF may be close to folding. The AAF was not a new idea; there have been other football leagues to rival the NFL as recently as 2001. The X-treme Football League only lasted one season. 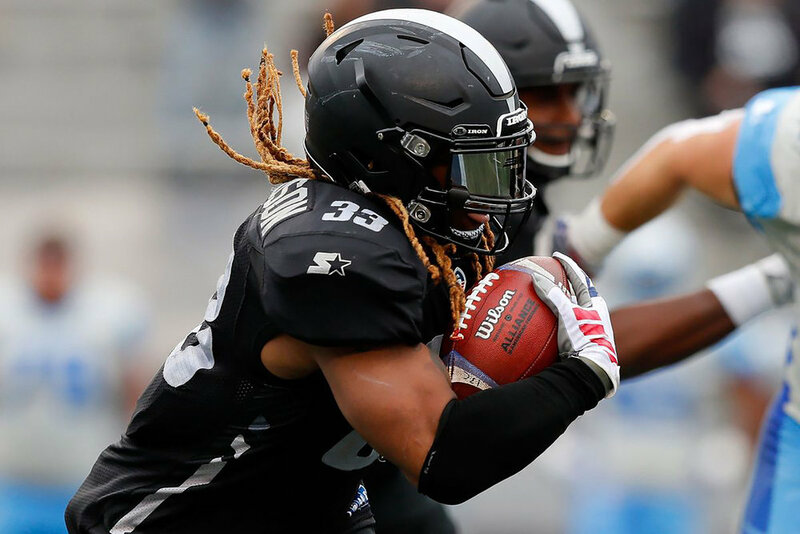 It looks as if the AAF will suffer the same fate as the XFL and fizzle out before it completes one season. CBS Sports reported that the owner of the AAF, Tom Dundon, will suspend operations, but practices will continue for players. The league is not folding immediately, but the writing on the wall indicates the AAF’s inevitable downfall. There is not enough money to fund the NFL’s little brother. Earlier in the AAF’s season, Dundon invested $250 million of his own money into the infantile league because teams were unable to play their players. Also, friction between the AAF and the NFL Players Association prevented NFL practice squad players from participating in the AAF, which is another reason Dundon suspended the league. If the NFLPA used the AAF as a farm system for NFL teams, then the AAF would be able to survive. Players on AAF rosters could be controlled by NFL teams, much like lower level baseball and hockey teams are controlled by MLB and NHL teams for player development. The interest is not as high for football games watered down by inferior talent. Football fans are not engaged by a knock-off brand of NFL football because the level of competition is not as high. Minor league baseball and hockey teams, however, have been around for years despite less talent on the playing surface. The reason why is because the MLB or NHL teams that control those minor league teams support the team financially. Because of this, cities like Rochester, N.Y. can have professional sports teams. If the AAF was a farm system for NFL teams, then those NFL teams would financially support their affiliate teams, thus keeping the AAF afloat. The fan engagement in the cities with AAF teams is quite encouraging. The Orlando Apollos bring about 20,000 fans to their games. Only 11,000 fans show up each night for Miami Marlins games at the MLB level. Even with local fan support present, AAF franchises still need an NFL team’s budget to keep them in operation. If the NFL adopts the AAF as their farm system, they would have to add 24 more teams to compensate for each NFL team, but NFL teams shared $8.1 billion in profits in 2017. Supporting minor league football would be plausible, as MLB and NHL franchises have shown for years. The NFL should adopt the AAF to put football in cities without NFL teams and to further the career of some players that may not be NFL-ready out of college. Unfortunately, this all seems unlikely as the talent pool for NFL players is not very deep. NFL teams also have to manage 53 players on a roster, and it would be hectic to double that roster size, not to mention coaches, training staff and the countless other factors that exist in running a professional sports team. Shockingly, the XFL is looking to make a comeback next season and will try to rejuvenate the success it had early in 2001. After this AAF fiasco, XFL owners may think twice about starting up their league, or may consider asking the NFL for help.